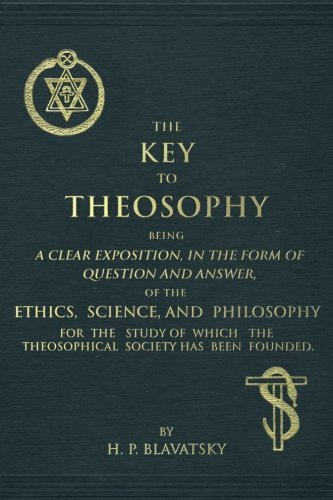 To the Editor of THE IRISH THEOSOPHIST. Dear Sir.,—Wide publicity having recently been given to attacks on the late Mme. Blavatsky, will you be so good as to allow us, her only relatives in England. to say a few words on the other side. Like the rest of Mme. Blavatsky’s relatives, We have long ceased to wonder at any criticism of her wonderful life; have almost ceased to feel resentment at any misunderstanding of her almost incomprehensible personality. It is not, therefore, with resentment that we regard these attacks on Mme. Blavatsky, but rather with wonder that in any valuation of her life and work, there should be such complete blindness to realities, not incomprehensible at all, but very patent to everyone who has eyes to see. It appears to us a fact, altogether undoubted, that Mme. Blavatsky made thinkable to tens of thousands the ideal of spiritual life, of the real Self that stands above the ocean of birth and death. And in making thinkable the idea of the higher Self, she has also made thinkable the inferior worth of this life of storm and sorrow. Then again she has made tangible to thousands the theory of repeated births; of the development of the enduring Self through a long series of personal selves. Or, as she herself would say, the doctrines of Reincarnation and Karma. the doctrines to which she invariably linked the sanative ethical principle—whatever a man sows, the same shall he also reap. These two teachings—the real Self and the series of rebirths—are the heart and head of Indian philosophy, and Mme. Blavatsky has made them thinkable and tangible to tens of thousands whom the transcendental works of Kant and Schopenhauer, and the academic studies of the Orientalists, have never even touched. All this she has done, not so much by original research and speculation—these she never claimed—but rather by the sheer force of her personal power, that first seized these ideas with tremendous vividness, and then presented them with tremendous vividness to the minds of her age. She was a force, the like of which we shall not see again. Is it a small thing to have made this immortality of the soul a thinkable, tangible reality to tens of thousands? To attempt this would have been a splendid thing; Mme. Blavatsky did more—she actually accomplished it. If even a tithe of this be true—we think it falls far short of the truth—then Mme. Blavatsky has deserved very well of her time. And, in view of this real work done, we cannot but consider all personal attacks on her as ridiculous—not to use a harder word. To turn for one moment to the attacks themselves, Mr. Solovyoff’s volume, A Modern Priestess of Isis, contains two elements—private letters of Mme. Blavatsky and the narrative of Mr. Solovyoff. In the letters, somewhat unscrupulously published, there is no proof of Mme. Blavatsky’s “fraudulence.” As to the narrative of Mr. Solovyoff, it is abundantly proved that he has given two quite discrepant accounts of his own attitude and doings, and a witness who does this is hardly believed when he testifies about others. We are justified in saying that the whole of Mr. Solovoff’s narrative is so completely coloured by his subsequent ideas, that it is practically a work: of fiction, the only one of his popular romances that Englismen are ever likely to read. So much for Mr. Solovyoff’s book: the private letters of a dead woman, genuine and honest; the narrative of a living romancer, largely fictitious. It is a noteworthy fact, that has never been sufficiently insisted on, that in no case has it been claimed that any of Mme. Blavatsky’s psychical “phenomena” were “exposed” at the actual moment of occurrence; while even Mr. Solovyoff testifies to real and undoubted psychical phenomena—physical forces directly controlled by her will. Then again Mme. Blavatsky is accused of wrong and faulty literary methods. Very likely; her work was not for literary methods, but for human life. And, if her words are sometimes inconsistent, her will was perfectly, strongly consistent all through, and will is better than words. In view of her splendid achievement, most plain people will probably agree with us that, if the failings pointed our by her accusers were real, it would have been far more generous to have left them to silence; while, if they are largely false, as we believe, then these railing accusations that made a long martyrdom of the evening of her life are something worse than ungenerous.